Who else is already ready for next weekend?! After this first week of holiday hosting and toasting, I am more than ready for round two. 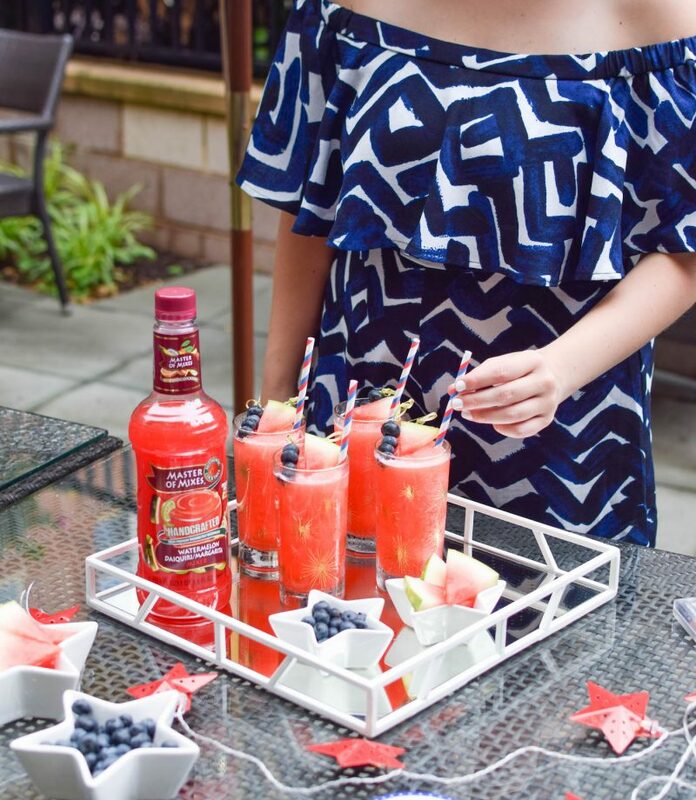 And for all of you hosting a festive soiree this weekend, I wanted to share a super easy and fun cocktail recipe that will have your guests raving. 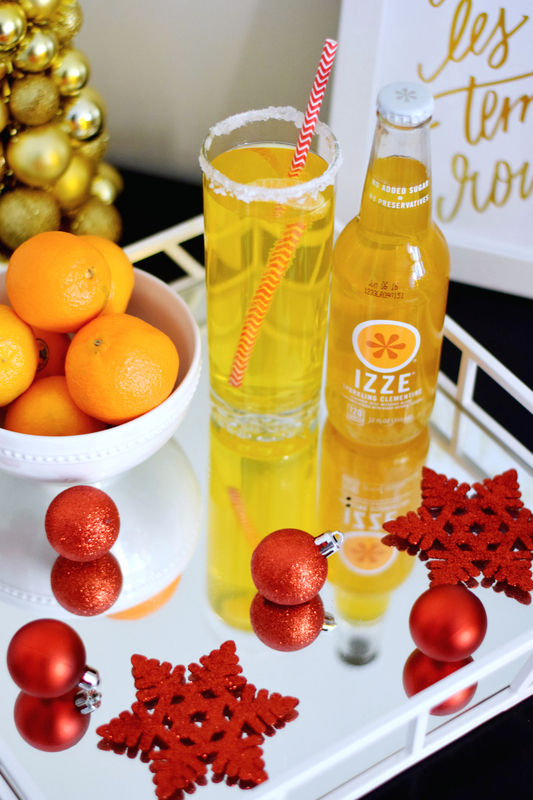 I’ve long associated clementines with Christmas, so when I found IZZE’s Sparking Clementine, I knew it was the perfect base for a holiday cocktail—but I also love that it’s a little unexpected. The best part? 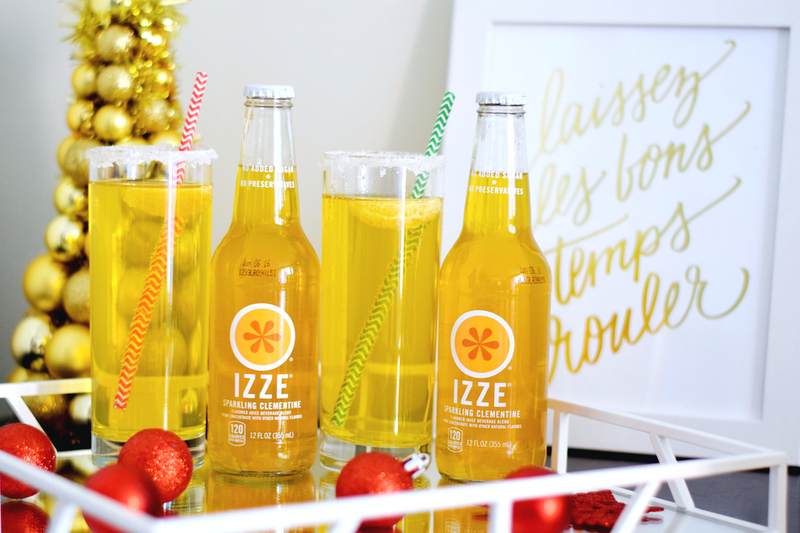 IZZE is all-natural and sugar-free, so you can try and stay on that holiday diet track. 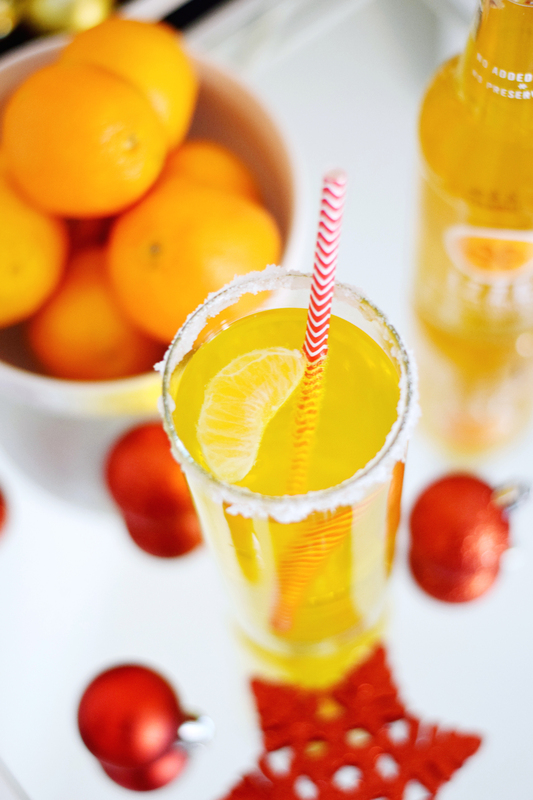 These clementine champagne cocktails are so easy, and you can a big batch ahead of time so you can entertain and enjoy your own party. Dip glass in water, then in sugar. 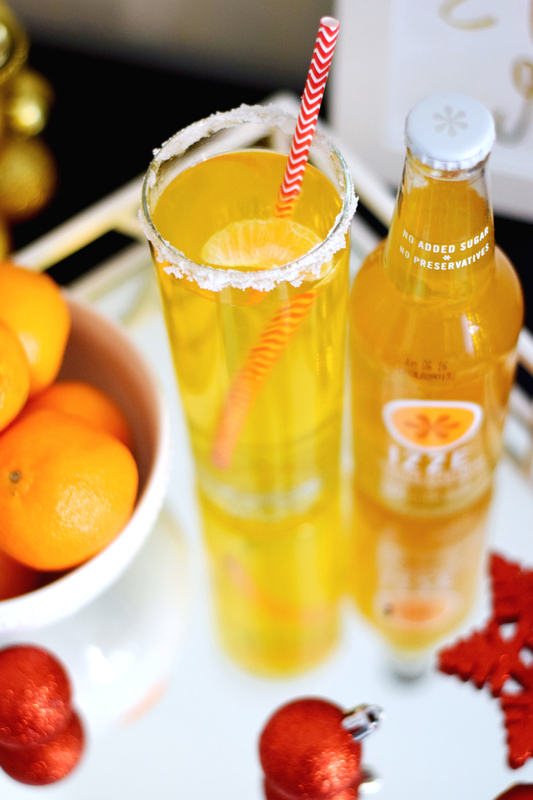 Combine 1 part IZZE Sparkling Clementine and 1 part Champagne for each guest. Pour into sugar-rimmed glass. Garish with a real clementine and enjoy! 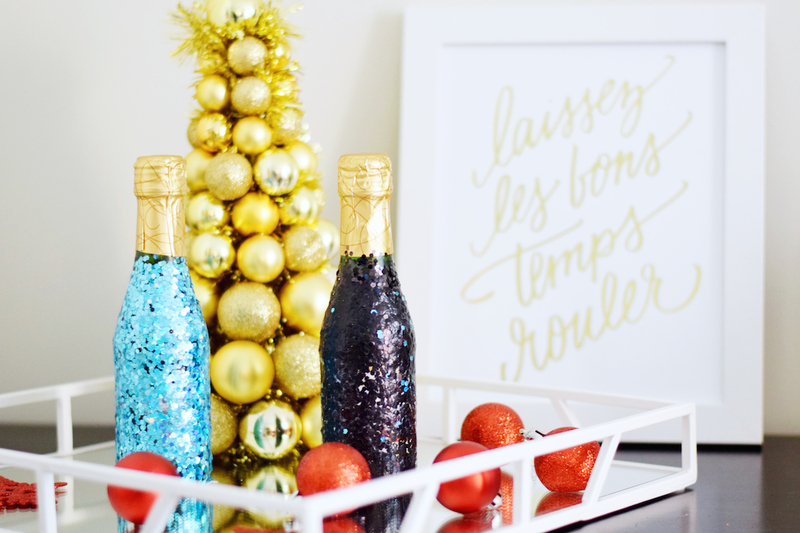 And, if you really want to up the game for these clementine champagne cocktails, try making glitter champagne bottles! I opted to buy mini ones so that everyone could take one IZZE and one champagne and easily make their drink, but you could easily glitter a regular-sized champagne bottle, too. Plus, you can hide what label the champagne is this way—Andre all around ;]! It’s super easy to do, but just a fair warning, glitter hasn’t improved since our 90s childhoods: it will get everywhere. I followed the same directions I used for last year’s DIY glitter champagne glasses. How cute would a combo of these be for NYE? Thank you to IZZE for sponsoring this post, and supporting the brands that keep A Touch of Teal’s doors open. As always, opinions are my own. Stay tuned next week to see another recipe featuring IZZE’s Sparkling Pomegranate flavor! 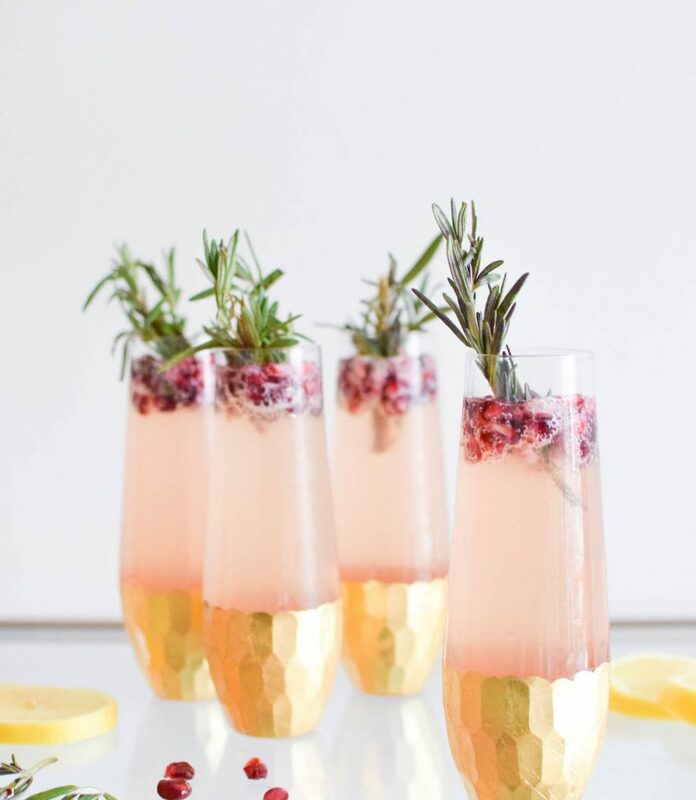 Love that cocktail idea and really love the glittery champagne! Champagne cocktails are my favorite! This sounds delicious! Hello, perfect holiday cocktail! Not only does this sound delicious, but it’s so bright and pretty! These will definitely be made at my house over the holidays. this looks adorable!! and yes, i’m already ready for the next weekend! Oooooh this looks so great! Love! These look so beautiful and so festive! Love the vignettes and the colors really pop! I love izzie!! I never thought of making a cocktail out of one. I’ll will have to try it. Thanks for sharing! Yes! I completely agree, yet it is one of my favorites. 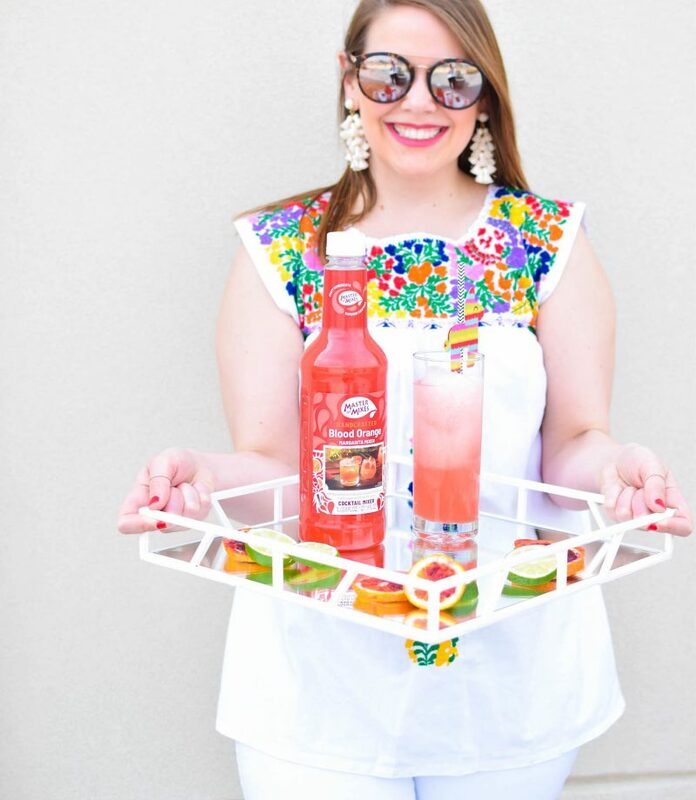 I love Izze sodas..they are so fabulous, and your cocktail sounds wonderful! I LOVE your pictures..just fabulous! I am not a drinker, but that doesn’t mean I don’t love drink recipes I can make for my girlfriends. These just look amazing and perfect for a get together. Love this girl. Thanks Kia! Your friends are in for a treat. Ah, I have heard great things about their new flavored water line. Will have to try it out. I love this cocktail idea…I’m going to definitely make this! Thanks for sharing! These look so good and I love your little sparkle champs bottles! Absolutely love this cocktail idea, along with the sparkly bottles. So cute Katie!